People are beginning to recognize that the Internet offers enormous possibilities to set up a successful online home business for peanuts. Because the home business entrepreneur now has access to more training than they previously did, online marketers need to stay ahead of the game. Would-be “netpreneurs” are quickly getting up to speed on what is needed to get started online and quickly recognize the products and opportunities that offer true value and those that do not. Customers see so many sales letters that they are almost immune to average “hype”. They’re still willing to spend – but they want value for money. They want to be treated like intelligent, discerning adults. 1) How do you get potential customers to do business with “you” rather than your competition? 2) What motivates people to unsubscribe from your opt-in list? 3) And what might make them want to ask for a refund? What makes people want to buy your products and sign up for your opportunities? - Potential customers should be able to see how your product will give them new insight and knowledge in their given niche. - They will be happily buy your product if it will help to accelerate their online business growth. - Potential clients will have no problem buying your product if it will automate a task that eats into their time. The Internet is all about speed, so your visitors quickly learn to spend their time on marketing and promotion, rather than repetitive tasks. Once “newbies” have been exposed to a few sales pages, it’s doesn’t take them long to begin ignoring the usual sales jargon. They will carefully evaluate your sales letter to find out just what your product is really offering them. Do they need your product or will it duplicate something they already own? Your potential customers will also expect value for money. Sometimes the more expensive products are better value and give more information than many of the cheaper ones. It’s all about information and what’s in it for me. Smart Internet Marketers already realize that if they produce online material offering truly valuable information, they are much more likely to attract and keep new customers. Jo James listens to your 60 minute audio inteview on keyword research and search engine optimization. Out of it he gets a wealth of helpful information he hasn’t heard anywhere else. This helps him decide that you know what you’re talking about so he happily shells out a few hundred dollars for your products. - Receiving several identical emails selling the same product or opportunity, because their sender hasn’t worked his after sale, list transfer procedure. - Receiving a ‘canned’ email buzzing with excitement about a new product or service, which duplicates an email they get from six other affiliates marketing the same product. In former times buyers tended to write off a bad purchase. Nowadays, people will ask for a refund, if they feel they have not received value for their money. What makes them decide to ask for their money back? - Physical products (CDs, DVDs) that don’t work with their systems. - Software that doesn’t work as advertised. - An e-book full of easily available content. - An e-book with very little or poorly written content. - An e-book that is low on content and full of links with hardly any, really valuable information, or one that is full of affiliate links. An e-book full of affiliate links or links to your upsell… should be given away for free. When you charge for it, you risk compromising your reputation as a source of good, quality information. Some of the other things that bite into your customer’s valuable time are e-books in “.exe” format only, so the customer can’t access them on a Mac computer and streaming MP3’s as opposed to a downloadable version. Instead of keeping your customers chained to their monitors, give them information they can listen to or read away from their computer. They can load an interview or tutorial into their MP3 players and listen to it at their leisure or print out an e-book in PDF format to read or mark up while relaxing away from their computer. A practice that is getting extremely tiring is having to part with your email address to access someone’s sales page. Prospective customers are more likely to hit the back button on their browsers or close the window and leave. 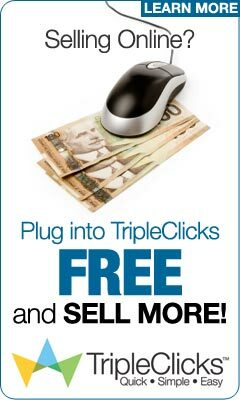 There is always another internet marketer around ready to make a sale without fleecing them for their email address. Potential customers will happily do business with you if you respect their time and intelligence.